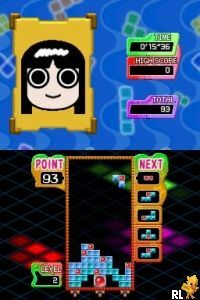 OverviewTetris Party makes its way to the Nintendo DS and Wii. Deluxe features six new game modes and four new enhanced modes of play. You know Tetris, but do you know how to party? 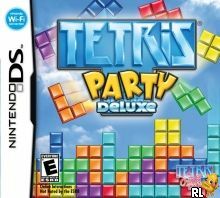 Tetris Party Deluxe builds on the previously released Tetris Party for WiiWare by adding new modes and features to enrich the overall gameplay experience for both Wii and Nintendo DS. With more than 20 exciting modes, online battles, and multiplayer fun for groups of friends and family, Tetris Party Deluxe is a must-have for Tetris and puzzle fans. Now you can add videos, screenshots, or other images (cover scans, disc scans, etc.) for Tetris Party Deluxe (U) to Emuparadise. Do it now!